"Network Motifs in biological networks"
Ce projet a été sélectionné lors de l'appel à projets blancs de l' . Il est financé pour une période de 3 ans (2009-2011). Recent technical advances have allowed the collection of data which are structured like networks. Many scientific fields are concerned by this network revolution such as physics, sociology and biol-ogy. The mathematical analysis of such networks aims at uncovering structures which can help in the understanding of the system. Global and local strategies can be considered and our project focuses on the latter. Studying substructures, called network motifs, is of particular interest in biology, since these building blocks constitute functional units which combine to ensure cell regulatory processes. From a mathematical point of view, the first focus of this project is the study of the statistical distribu-tion of motif counts in random graphs to detect the most interesting motifs of a given network. We will propose relevant definitions of network motifs and efficient algorithms to enumerate their occur-rences. We will then propose random graph models fitting the global properties of observed biological networks and propose statistical methods to estimate their parameters. We will finally derive the ex-act or approximate distribution of the motif counts in these models. A public software will be devel-oped to make all these results available to biologists. As motifs can be considered as the building blocks of networks, we will develop, in a second phase, network comparison procedures based on motif counts. We will use motifs to confront networks to other sources, e.g. gene expression data: Gaussian graphical models will provide us a natural framework to achieve this confrontation. Members of the NeMo project are statisticians, discrete mathematicians and computer scientists whose task force will be gathered to answer theoretical questions in algorithmics, probability and sta-tistics and to develop efficient computer software for biologists. As many biological processes are governed by interacting elements, we will study different biological networks, such as protein-protein interaction networks, regulatory networks and metabolic networks. Appropriate mathematical tools will be required in each case. UMR 518 "Mathématiques et Informatique Appliquées", AgroParisTech/INRA, Paris. UMR CNRS 8071 "Statistique et Génome", CNRS/Université d'Evry/INRA. 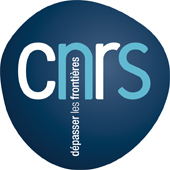 UMR CNRS 5558 "Laboratoire de Biométrie et Biologie Evolutive ", CNRS/université de Lyon/INRIA. UR 1077 "Mathématique, Informatique et Génome", INRA, Jouy-en-Josas. La majorité des participants font partie du groupe "Statistics for Systems Biology".